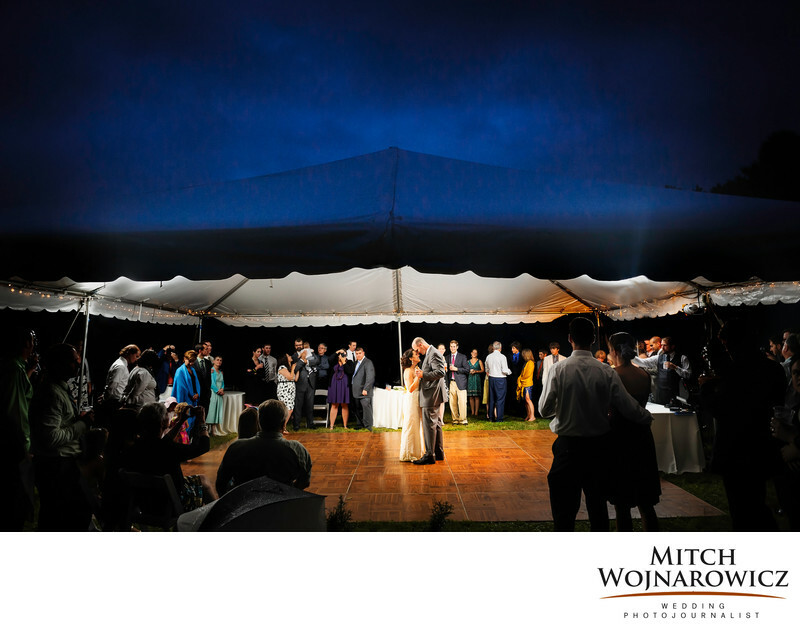 This Berkshire wedding photo is a favorite wedding first dance photo. The outdoor setting. The blue twilight sky. The informal setting where the couple is surrounded by friends and family. I prefer to let the first dance unfold naturally. I will never stop the couple or interfere with the dance in any way. Let it unfold and I’l shoot the emotion and the scene setting. And with patience and perseverance images like this one rise up where there is the scene and the emotion of the couple blending together to make a photo that is more than ordinary.